Everyone is busy. And when too busy, the most necessary step to developing a strong organisation often falls to the wayside – personal interactions with your team. One-on-one meetings are a necessary step to fostering the culture required. Yet, with busy managers and employees, the meetings are sometimes overlooked. 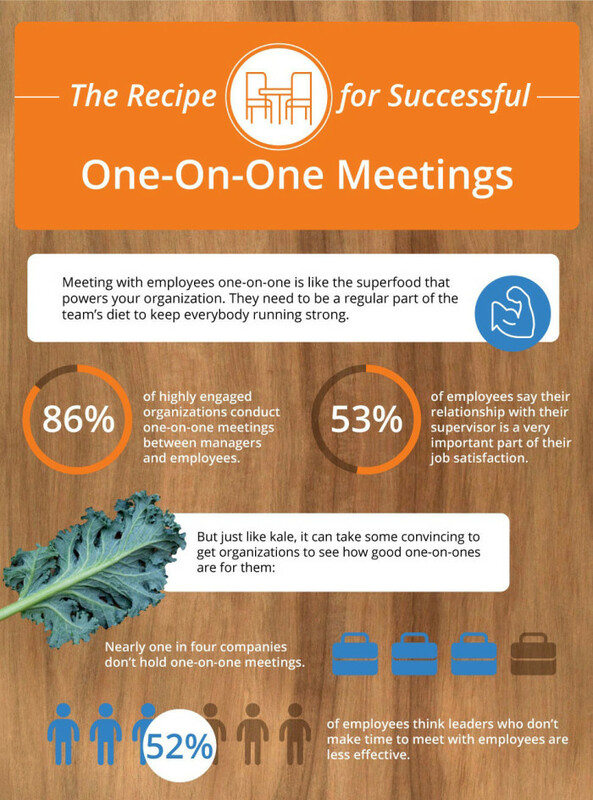 Quantum Workplace has created an infographic below looking at the steps to creating a healthier one-on-one experience. More than four in five (85.7%) of highly engaged organisations conduct one-on-one meetings between managers and employees. A majority (52%) of employees think leaders who don’t make time to meet with employees are less effective. Only 24% of employees are satisfied with how their manager communicates the organisation’s goals and strategies. Close to half (49%) of employees say having a manager who respects their ideas is very important to them. 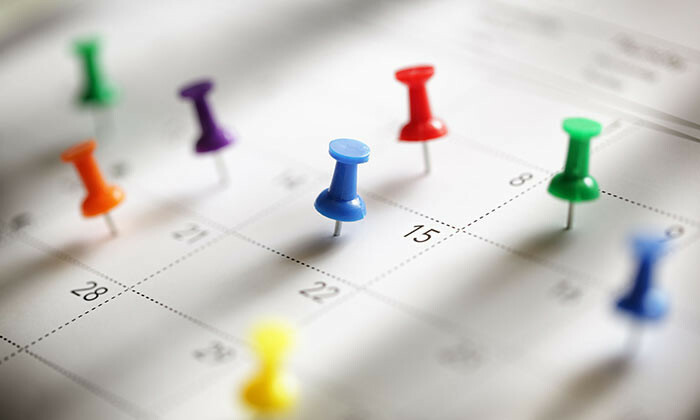 Start with a regular schedule: Employees who spend 6 hours a week interacting with their manager are 29% more inspired than those who spend just one hour with their manager. Add a little two-way conversation: ‘Communicative’ is one of the most common words used by employees to describe their ideal leader. Stir in some goal setting: Only 24% of employees are satisfied with how their manager communicates the organisation’s goals and strategies. Add in a pinch of career development: Close to half (45%) of employees quit a job because of a lack of career advancement opportunities. Let simmer for a few minutes while you go over your notes about what was discussed and the next steps: People respond more positively to someone who practices active listening. Top it off with a helping of follow up: More than three in four (78%) people who set goals but did not have follow-up reports were less likely to achieve their goals. What do you think creates a successful one-on-one meeting? Let us know in the comments! The country's increasing focus can be attributed to greater smart cities initiatives and applications in public safety and intelli..
Have your employees also got an “I still feel like a child syndrome”?..